Teaching students how to think is tricky and abstract. Teaching students facts and formulas is fairly concrete; we can tell them information, give them defined ways of practicing, and then clearly measure if they know it or not. Thinking is different. It’s not a discrete skill we learn and then move on from. It’s also hard to measure whether students are getting better at it. Getting better at thinking means flexing those muscles every day; if we don’t, those thinking muscles can atrophy. Of course, students flex their critical thinking muscles a little in every lesson, but they can make even better progress with some intentional skill-building. You can do this by asking thoughtful questions on the fly in discussions, or adding them at the end of any homework assignment. 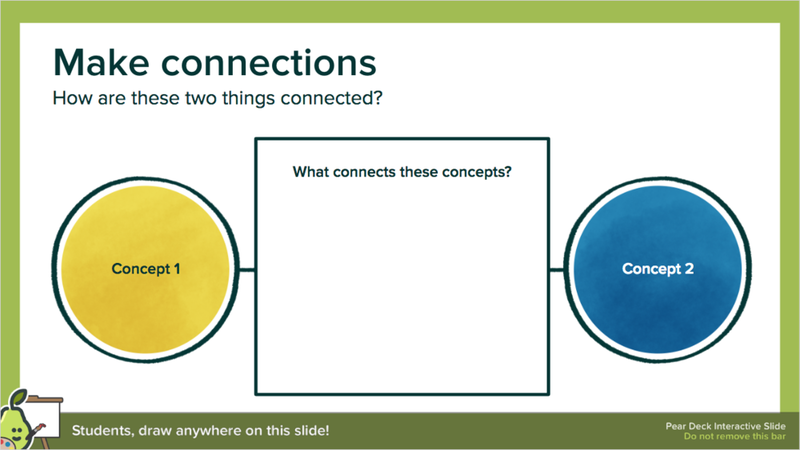 If you use Pear Deck, we’ve made a pack of brand-new templates for you to insert directly into any slide presentation. To help you combat thinking atrophy in your classroom, I’ve put together a list of behaviors to look out for, as well ways you can counteract those thinking behaviors each day. 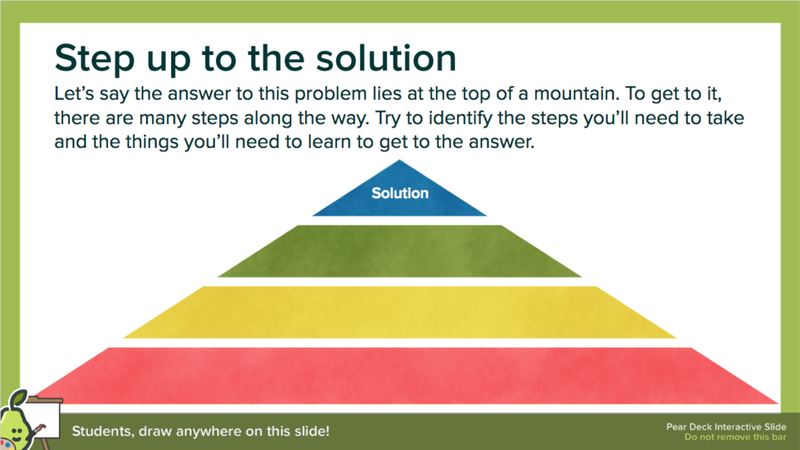 I’ve also included a suggestion for which Pear Deck template you might use for your critical thinking intervention! Counteractive Measure: Ask students to consider or imagine another point of view. “What might someone else think about this?” Pair students up with someone who has a different point of view. No matter the content, push students daily to explain, consider, observe, ask, and wonder. This explicit thinking about thinking will not only help students with this particular unit, but also make it easier for them to apply lessons from this unit to the next unit, or to another class.